I visited Jinju, South Korea for the Jinju Lantern Festival. The annual event is the highlight of Jinju’s calendar, and the primary time that the city gets visitors each year. 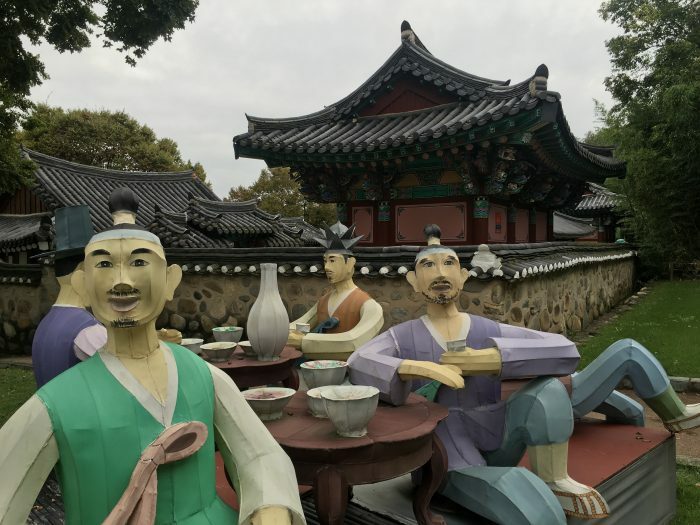 However, there’s one noteworthy landmark that is worthy of a visit to Jinju any time of year, even just as a day trip if you happen to be elsewhere in southern South Korea. That landmark is Jinjuseong Fortress, the massive focal point above the city. 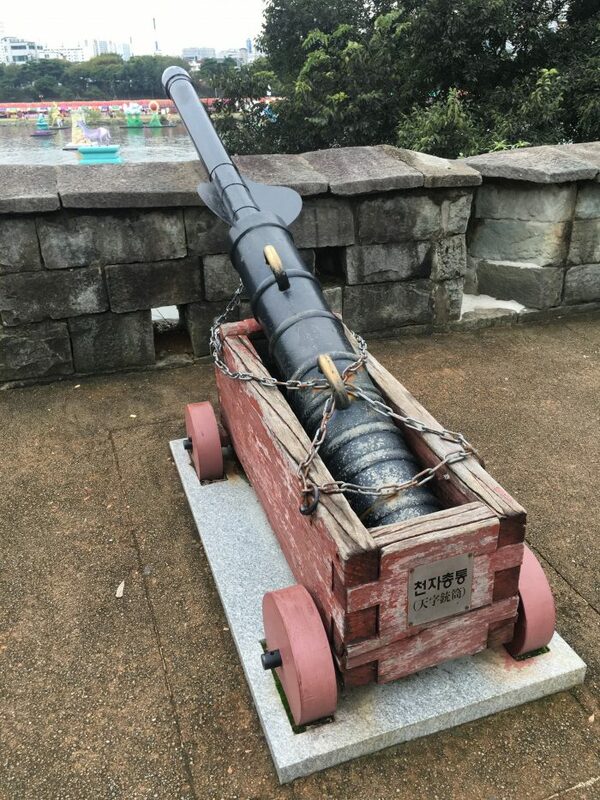 The fortress/castle dates back hundreds of years, and is linked with the Japanese invasion in 1592, but dates back even further than that. 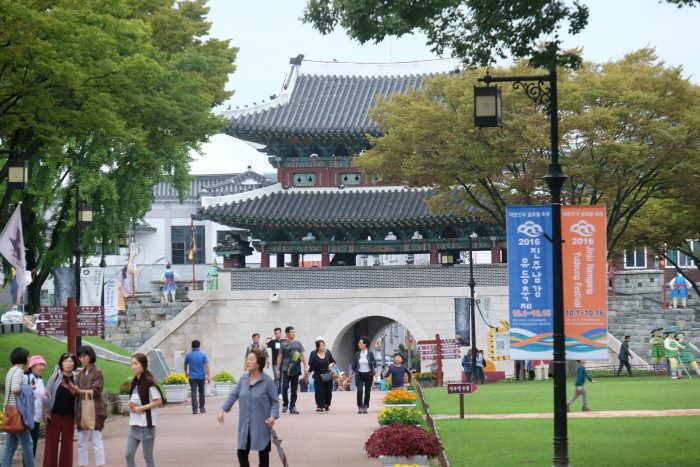 As you walk along the Nam River on either side, Jinjuseong is hard to miss. It’s on a hill along the water. During the Jinju Lantern Festival, it becomes part of the festival grounds, so if you’re here for that, you can enter as part of your ticket. The grounds of Jinjuseong Fortress had special games & activities setup inside for the festival, including a kids play fortress. There were also characters set up around the grounds & along the walls. I’m assuming these were associated with the festival, but it’s possible that they are there year round. There were also food stands. I got a free sample of fresh rice cakes. They were deliciously fresh & warm. Less authentic was the Krispy Kreme stand. 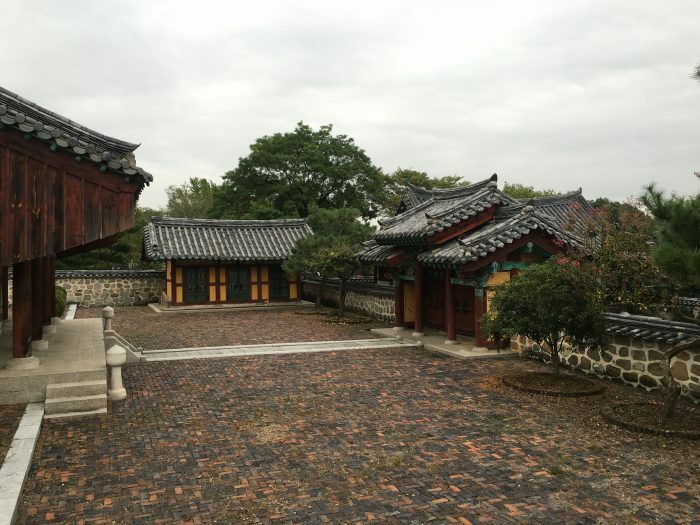 One of the highlights of Jinjuseong Castle is the Chokseongnu Pavilion. This pavilion is at the highest point along the cliffs. It is one of the finest examples of a nugak, which is a multi-storied building without walls. 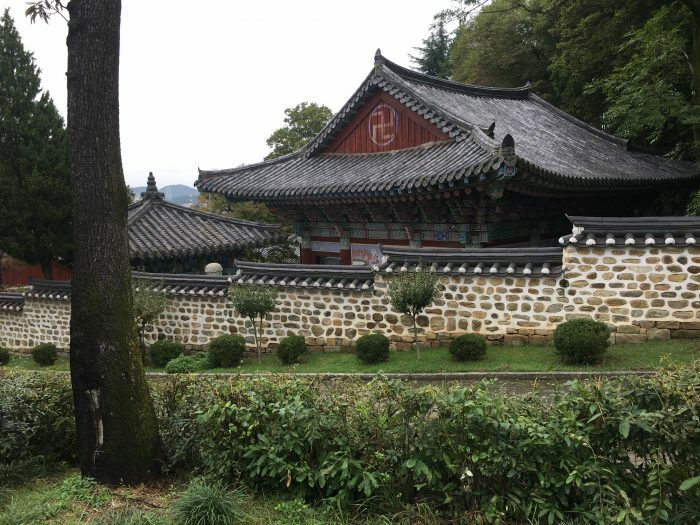 The original structure dates back to 1241, but it has been destroyed several times by war, most recently during the Korean War. The views from Chokseongnu Pavilion are outstanding. Be sure to take your shoes off, then sit inside & relax while enjoying looking out over Jinju. Another spot of historical note inside Jinjuseong Fortress is the Uigisa Shrine. 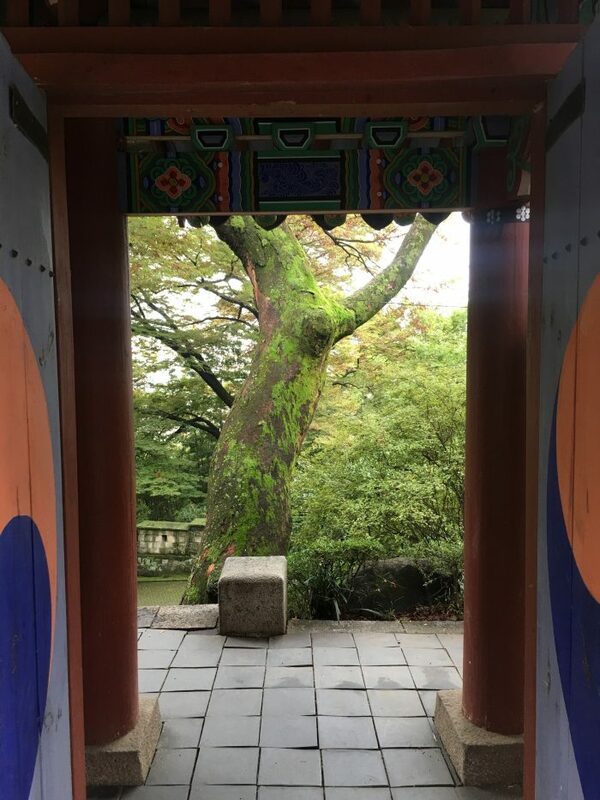 It was at this spot, following losing her husband in 1593 during the Japanese invasion, that a grieving Korean widow named Nongae leapt to her death while embracing a Japanese general she had seduced. She has become a folk hero in South Korea, with festivals being held in her honor as she is a national symbol. You can walk to the cliff & see where they fell. 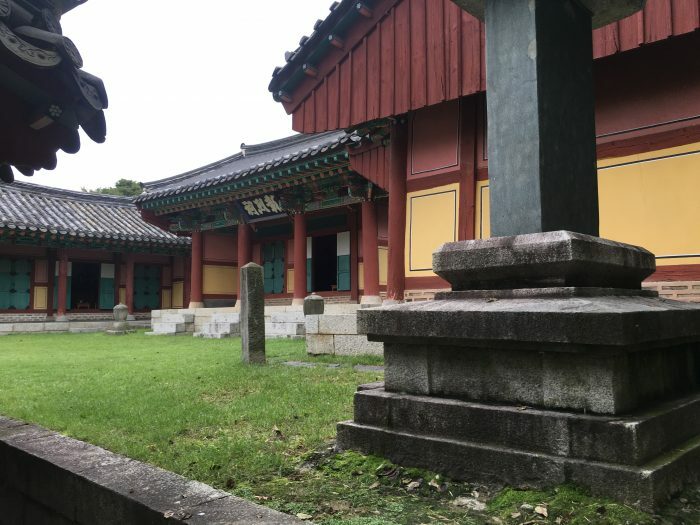 There are several other monuments inside Jinjuseong Castle. One of these is the Ssangchung-Sajeokbi Monument. Right next to this monument is a door that leads down to the river. A line of cannons looks out over the river. Not all of Jinjuseong’s history was told in the days of the Japanese invasion. 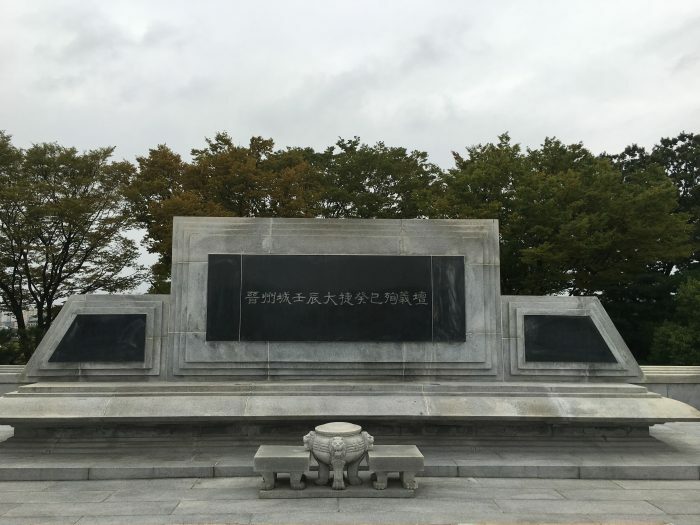 The region was also the site of intense fighting during the early parts of the Korean War. It was here where North Korea’s advance was stopped. I continued my walk along the edge of the castle walls, climbing higher and higher. Eventually I reached the corner of Jinjuseong, where the Seojungdae command post looks out over the river and the city. I could see all the way down to the Jinju Lantern Festival below. 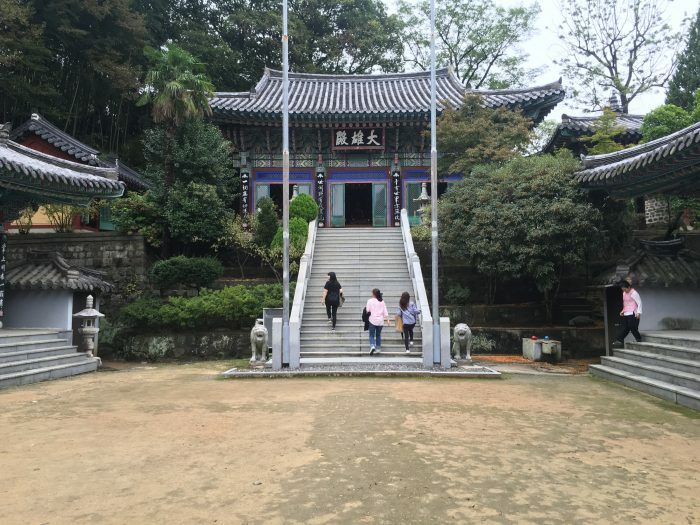 In the back sections of Jinjuseong Fortress are a couple of religious complexes: Hoguksa Temple & Changyeolsa Shrine. Despite it being a Saturday afternoon during a major festival, this area of Jinjuseong was quiet. It’s a lovely wooded area, and the temple & shrine are some of the most beautiful parts of the fortress grounds. 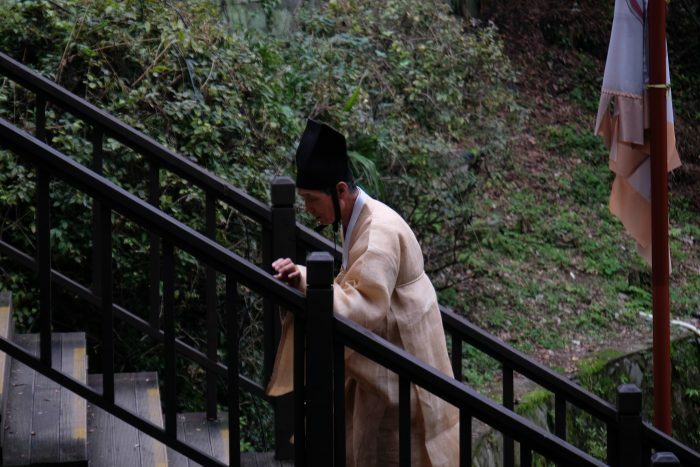 Near Hoguksa & Changyeolsa, there is a steep staircase heading into Jinju. Since it was time to get to the festival before nightfall, I decided to save the rest of Jinjuseong for the next day. The weather for the 2nd day of my visit to Jinju was similarly grey. 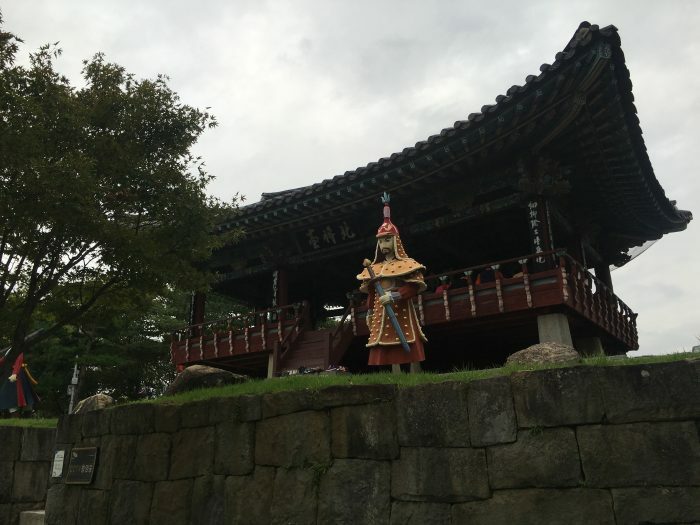 I started off by heading to some of the sections of Jinjuseong Fortress that I had missed on my first visit. 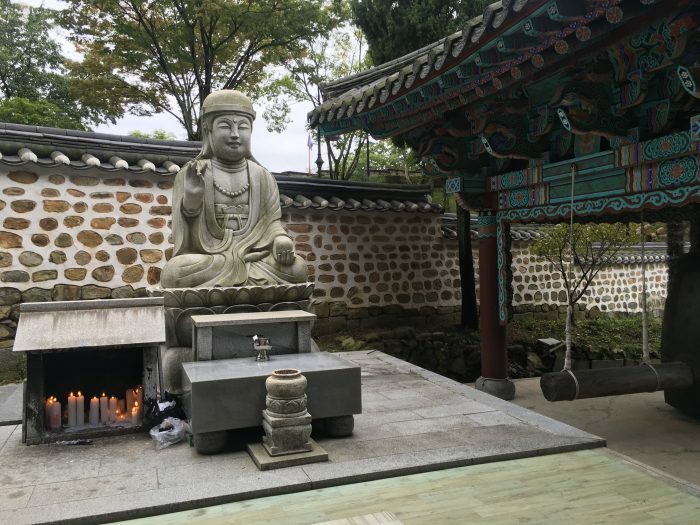 There were several more quiet monuments to see, including Gyesa’s Patriot’s Altar of Imjin Wars. There were also signs with local legends, including the Dragon Bridge Legend. Near the large, flat area in the center of Jinjuseong was a large gate. 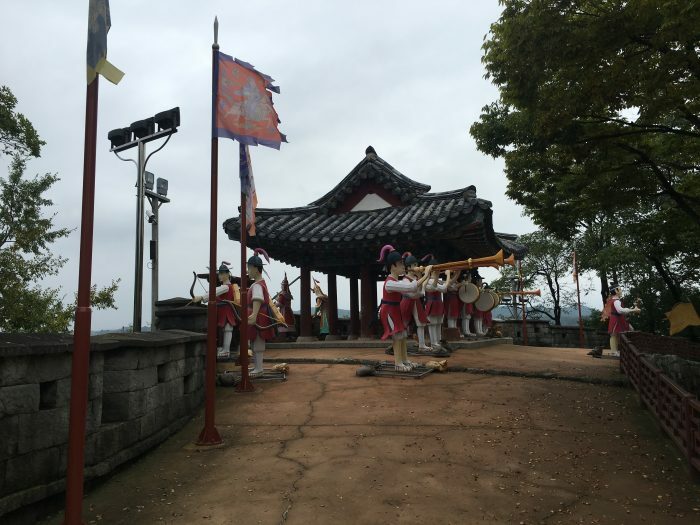 I also saw Bukjangdae, which served as the military guard pavilion. 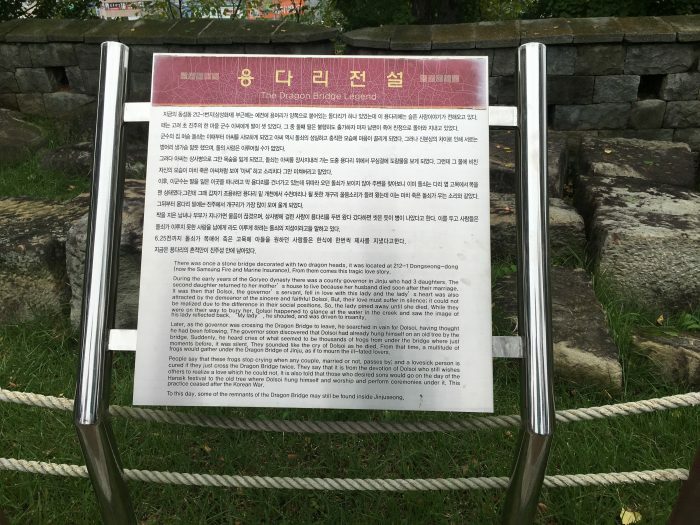 Walking along the edge of the castle walls, I passed a closed area that looked interesting called Cheonggye Seowon. Finally, with perfect timing, I arrived at the Jinju National Museum just as it started to rain again. The museum is a nice introduction to the history of Jinju, starting with the Japanese invasion of 1592 and the ensuing Imjin War. Exhibits are in Korean & English, and the museum is free since it’s on the castle grounds. 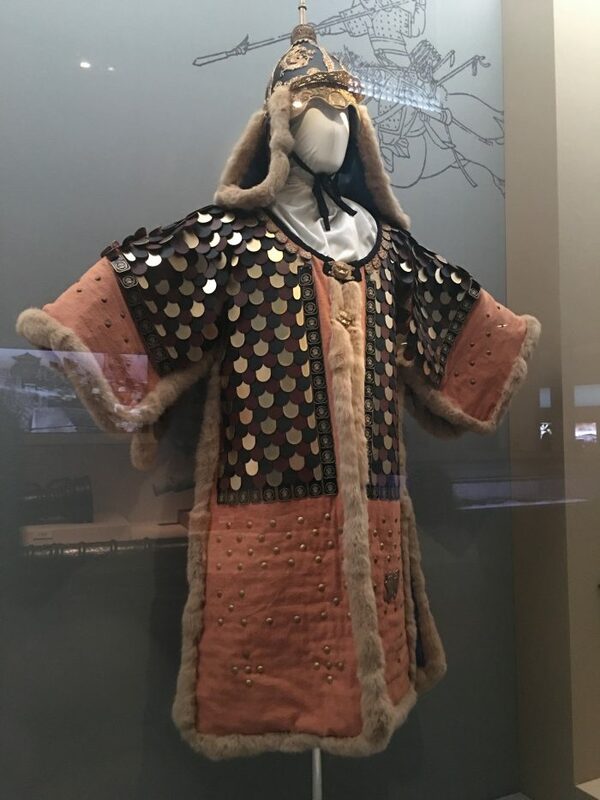 In addition to historical military artifacts, the museum also showcases the art of the region. 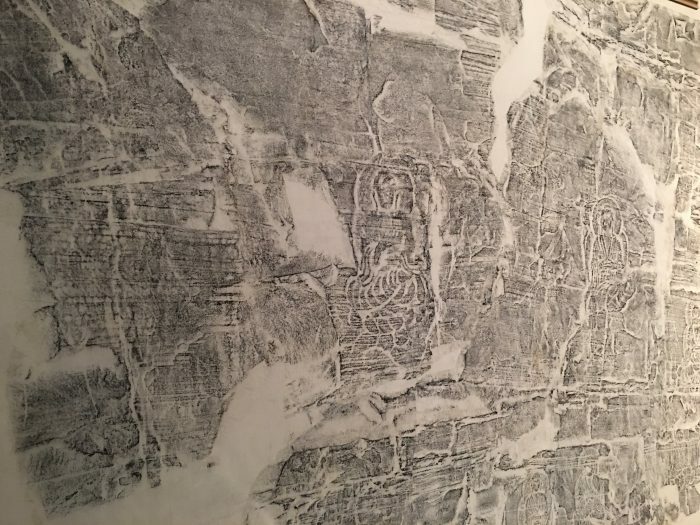 The rubbing of Buddha images that had been carved into a cliff was particularly interesting. 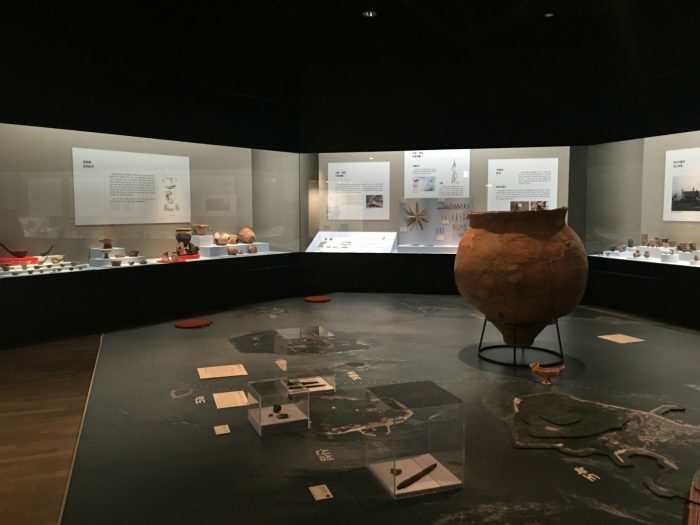 There was also special exhibition about Jinju merchants. Jinjuseong Fortress & Castle is an important piece of South Korea’s rich history. 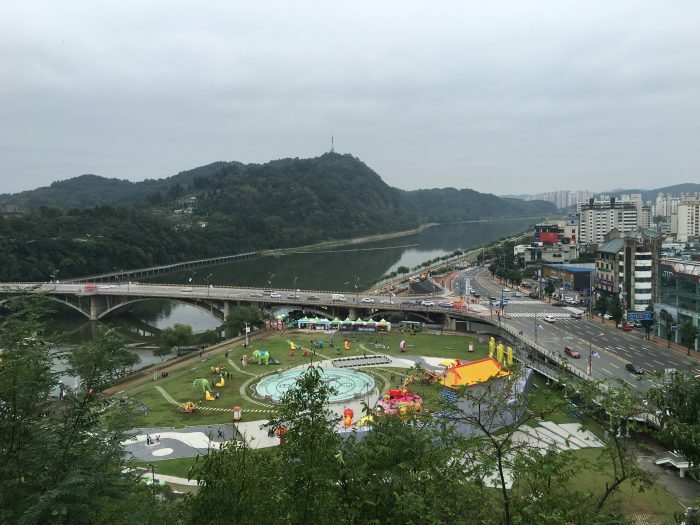 If you find yourself in Jinju, it’s a must-visit.